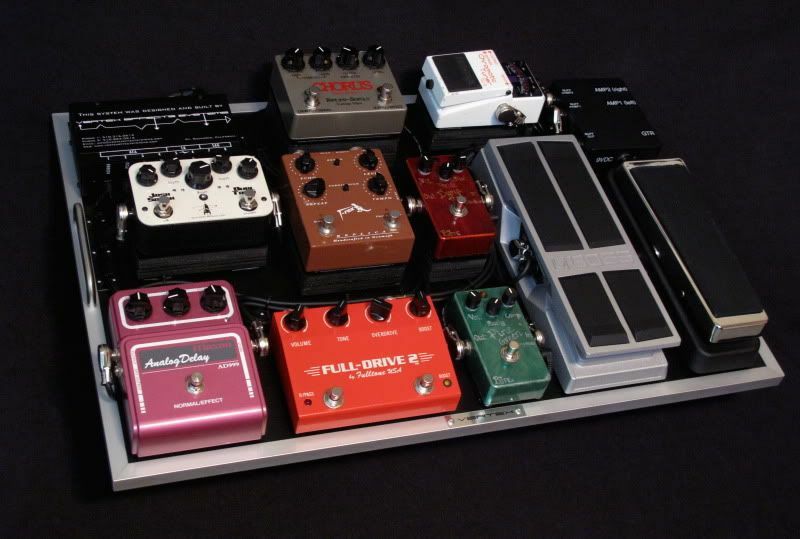 Here's a pedalboard that I did for my good friend Dana Olsen. Dana plays in a few bands, among them a fantastic Cowboy Country band (Danny Montana & The Bar Association) out of Fairfax, California. Dana was looking for something that he could use for his country stuff, but could also be used for some of the cover bands and other gigs that he gets. We outfitted Dana with a Vertex Tri-Buffer, a standard input buffer with two output buffers for both LEFT and RIGHT amps when running the system in STEREO. The RIGHT output is transformer isolated to prevent any ground loops and also has a polarity switch to ensure that both LEFT and RIGHT amplifiers have the proper polarity. 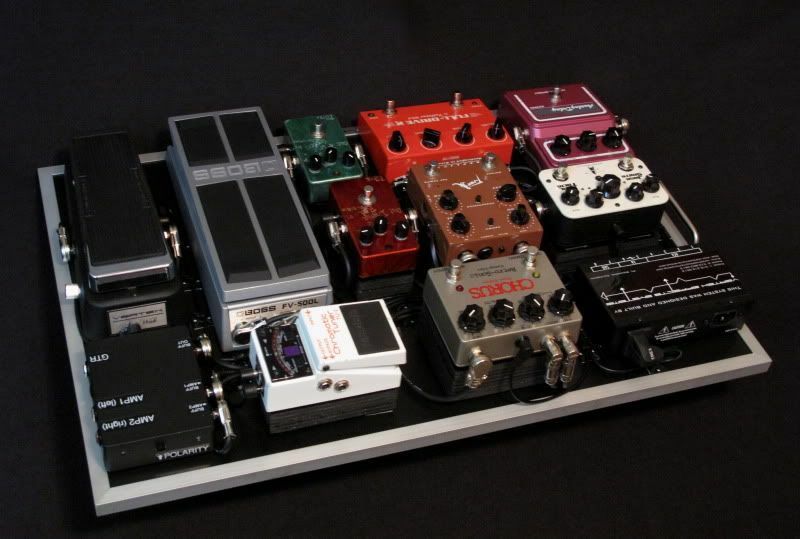 Interface (input buffer), Vertex Axis Wah, BJFE Pine Green Compressor, BJFE Dyna Red Distortion, Fulltone Fulldrive 2, Boss FV-500L Volume Pedal, Maxon AD-900 Delay, T-Rex Replica Delay, Rockett Josh Smith Dual Tremolo, Retro-Sonic Stereo Chorus, Interface (dual output buffer for both L and R amps w/ISO transformer).